Time to Bring Back the Toni and 80s Big Hair? I have been plagued with limp, straight hair all of my life. 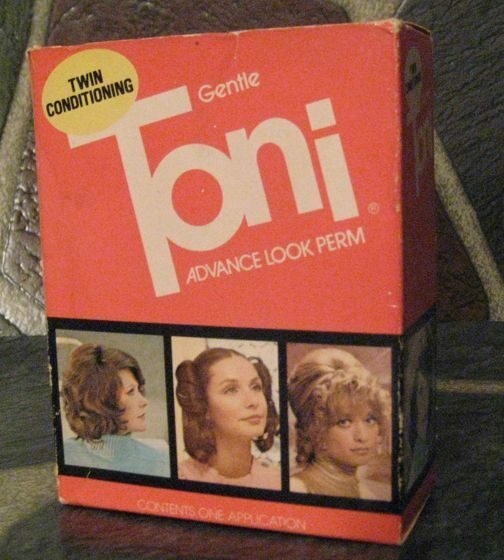 From the time I was five, my mom was giving me bi-monthly Toni perms. On top of that, I’d sleep in pink foam rollers to get the desired look every Southern girl (or should I say, girl mom) in Augusta, Georgia was after. I Always Loved The Pic of That Girl in the Middle with Pigtails! The 1980s hit, and as a teen, it was the bigger the better. Case in point, the below. That girl right there sat for hours in stinky, tiny rollers with chemicals dripping on them and carried a jumbo sized can of Sebastian Hair Spray in her purse to achieve that look. Amazing. Yes, 30 Years Ago, But the Hair! The 1990s hit, and from there on out, I’ve lived with stick straight hair. No hair perms to be had. I’ve gone short. I’ve gone long. It doesn’t matter. It pretty much always looks the same. 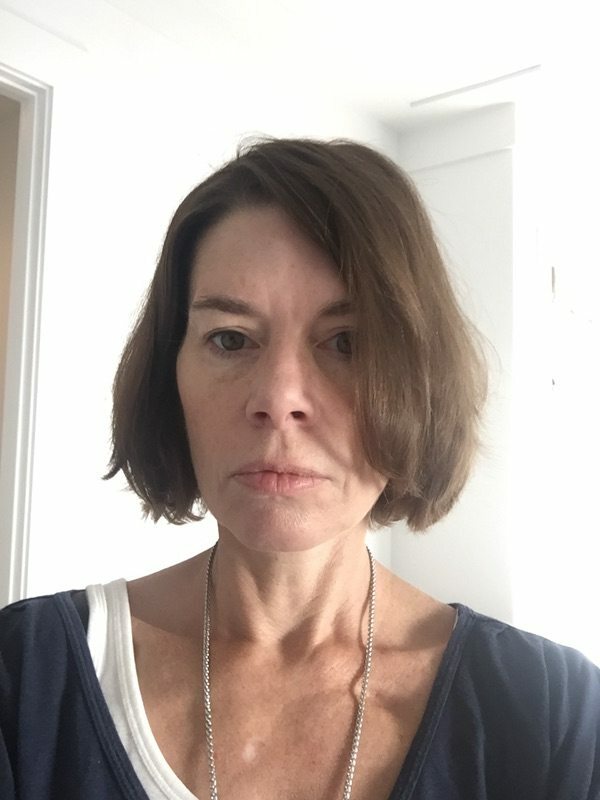 Let’s fast forward 30 years to the below (a sad 40-something selfie with no makeup). Oh, Damn You Car Selfie. Probably 10 Minutes After a Fierce Blow Dry. Last week, I decided to go rogue, and hit a hair salon and get a perm. Why not, right? Can’t look any worse. Ha! 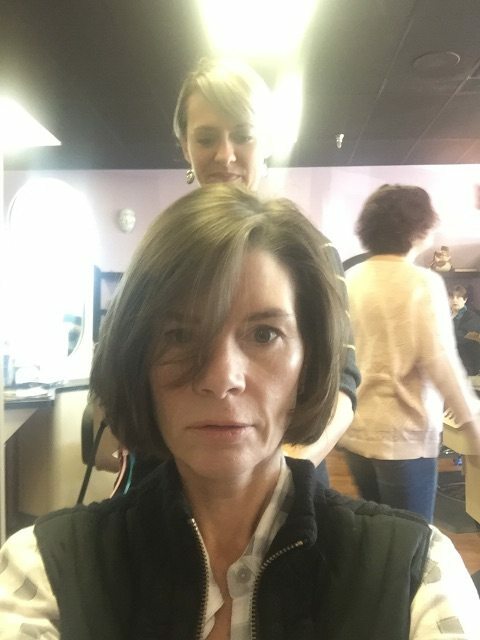 My beloved hair stylist Amy was all in. I decided to a get a mild body wave. Surprisingly, nothing seems to have changed about the process. Sulphur smell. Check. Plastic rollers. Check. Cotton wrap with liquid dripping down the base of the neck. Check. I mean, look at this! Seriously? A Purple Towel Around My Neck? Two hours later, I had the same transformative delight as I did in the olden days. As rollers came out, I saw a little bounce in my hair. There were practically ringlets! OK, it’s possible that was a little anti-climactic to you, as it may not look that different to the layperson. But really, my hair looks SO MUCH BETTER. It has some real body and bounce and doesn’t go flat immediately after I leave the house. Even my mother in law, who used to ask my husband if I was a Quaker due to my plain hair, loved it. I know the trend is still straightening and flattening, but trust me, for those of us out there with fine, baby hair…body is the way to go. As I write this, I even found an article in Marie Claire that suggests there may a a new hair perm trend coming. If you are interested in taking the ole hair up a notch, and being ahead of the trend, call Amy at T’s Colours Hair and Nails in Jacksonville Beach, 904-249-8060. She’ll “set” your hair right. About the Author: Gwinn Volen is part of the Focus editorial team and a real estate agent at Ponte Vedra Club Realty, where good hair is a must.